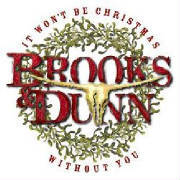 This album was definately a change of pace from previous albums, but it is a stepping stone towards what Brooks & Dunn accomplished on "Steers & Stripes" and "Red Dirt Road". Its true that none of the songs were co-written by the duo, but they each bring some unique material to the table and they are both amazing song writers. Ronnie's voice is flawless as always, but Kix also steps it up on this album and I think that his songs are a nice contrast to Ronnie's. If given more opportunities I think some of Kix's songs could shine as singles, but he is willing to let Ronnie sing on songs that have a good chance of being hits. 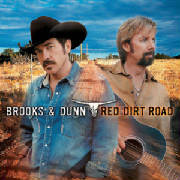 After such an incredible debut album, you would think that there was nowhere but down for this Country duo to head. Instead, they defy gravity and even top their first album with the release of "Hard Workin' Man". They worked hard on this release, and they come back with the same great harmonies, the great Country sound, and with a noticeable increase in their confidence. Simply the best tune on this disc is "Mexican Minutes", a ballad of leaving the fast-paced life behind. Only these two guys could use the words "Chips and Salsa" and make it sound good. Kix Brooks gives the Messina tune fresh life. 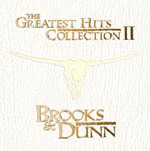 Put Ronnie Dunn's perfect Country voice into the forefront with "We'll Burn That Bridge" and the title track. His voice is full with just the right amount of twang and growl. The ballads are good on this release as well with "She Used to Be Mine" and "I Can't Put Out This Fire". Throw in a couple of upbeat tunes like "Rock My World (Little Country Girl)" and a remix of "Boot Scootin' Boogie" and you have a great Country hit. No sophomore jinx here. These guys are on top of their game, and came through with another blockbuster album. 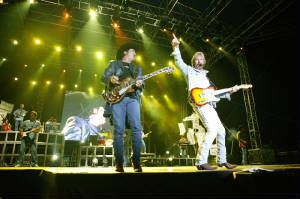 They might be a little rockin' for Country, but they still respect their roots and create great music. This is definitely a step up from their first album and a true gem.